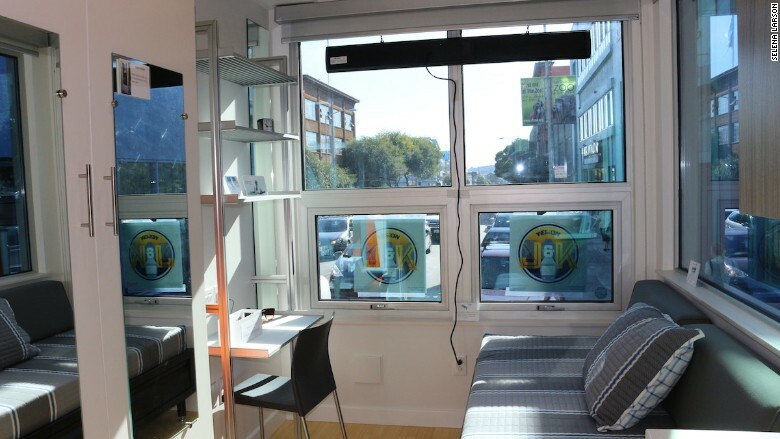 Small, stackable pods might be one solution to San Francisco's homeless crisis. 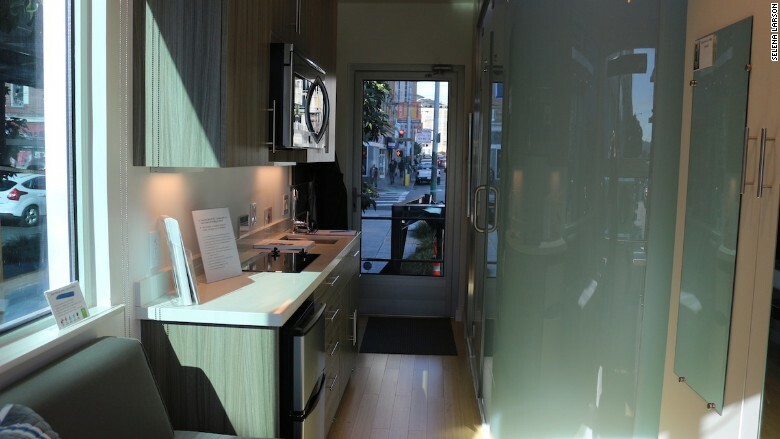 At just 160 square feet, the micro-apartments are tiny, but for those who are homeless in the Bay Area, they could be life changing. Almost 7,000 people are homeless in San Francisco. The city has struggled to address the issue for decades, and as apartments remain unaffordable and techies back more stringent laws targeting the homeless, the problem remains acutely obvious. "We've seen the street life and desperation that exist in our city for people who can't find housing," Patrick Kennedy, CEO of Panoramic Interests, told CNNMoney. "We've resolved to do something about that and harness the efficiency and capital of the private sector with the goals of the public sector." 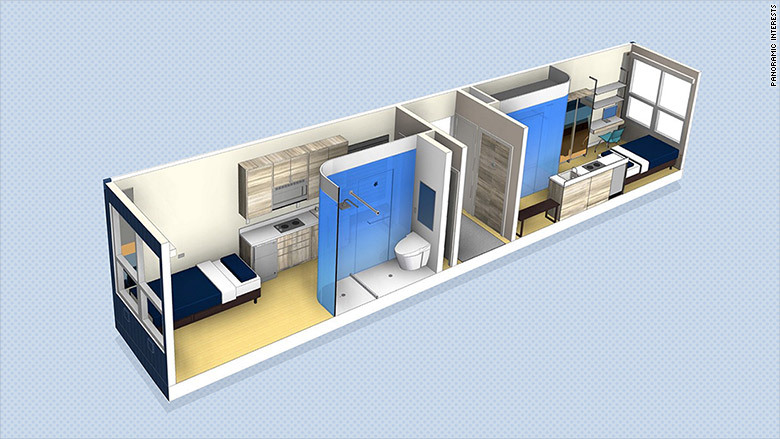 Panoramic Interests is developing MicroPADs, modular housing units that can be built into an apartment complex. These stackable rectangular homes include bathroom, kitchen with a small stove and refrigerator, bed, desk, noise-reduction windows and considerable storage space. Related: Can tiny homes solve homelessness? Apartments are paired side by side and stacked on top of each other. A complex, which could have anywhere between 30 to 300 units, will have people on-site to help with transitional issues like healthcare, job searching and technical skills classes. A kitchen and bathroom are included in the unit. 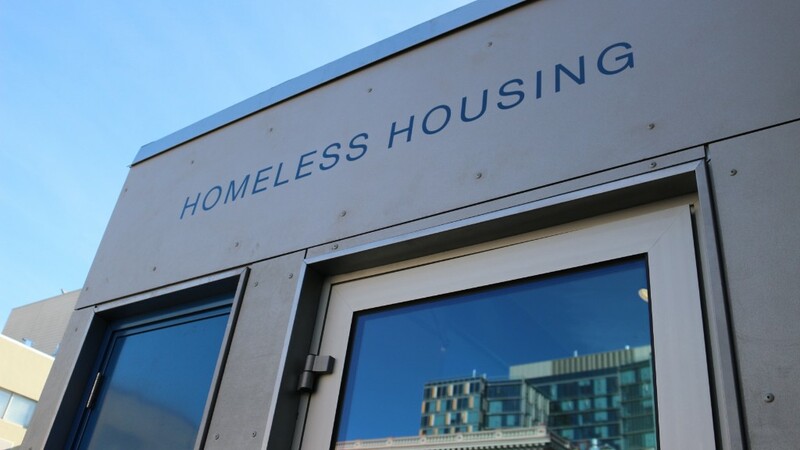 In May, the city of San Francisco launched the Department of Homelessness & Supportive Housing along with an ambitious effort to elevate 8,000 people out of homelessness over four years. Jeff Kositsky, director of San Francisco's Department of Homelessness & Supportive Housing, says his department is already looking into modular housing options. "Clearly there's an interest in the community to help address this problem and an understanding it requires more housing and services," Kositsky told CNNMoney. "The idea of modular housing has a place in all of this, especially when the projects are being built on private land with private capital." San Francisco voters recently agreed the city needs more housing and services for homeless people. But it seems they can't agree on how to pay for it: Legislation to fund homeless programs failed in November. City officials may put some programs on hold until funding is secured. MicroPADs would provide a healthier, cheaper and safer alternative to the city's current low-cost housing stock. A 2016 report from the San Francisco Department of Public Health found people living in single room occupancy (SRO) hotels are more likely to be hospitalized for breathing issues or falls than residents in regular apartment buildings. Further, SRO buildings have communal kitchens, and many don't have private bathrooms. A bed could also be set up as a couch for company. Panoramic Interests is currently in talks to build projects in Oakland and Berkeley, but San Francisco has not yet agreed to a partnership. This is "heartbreaking" to housing advocates like Tim Colen, director of the San Francisco Housing Action Coalition. "It is one of the most exciting innovations because it promises to dramatically cut the cost of housing production," Colen told CNNMoney. Because homes are manufactured in China and shipped to the U.S., San Francisco's labor unions are worried MicroPADs could take work away. However, skilled workers are still required to assemble and implement plumbing and electricity on-site. Michael Theriault of the San Francisco Building and Construction Trades Council said they will consider options for building the MicroPADs and other modular housing units locally. This isn't the first time modular housing has been considered to cut down on homelessness. In Los Angeles, the nonprofit American Family Housing built an apartment building out of recycled shipping containers to house 15 formerly homeless veterans and one case manager. Residents are expected to receive keys by January.